I know it’s a bit late, but I just had to talk about this cool event that went on a little more than a week ago with the American Society of Mechanical Engineers(ASME) club. 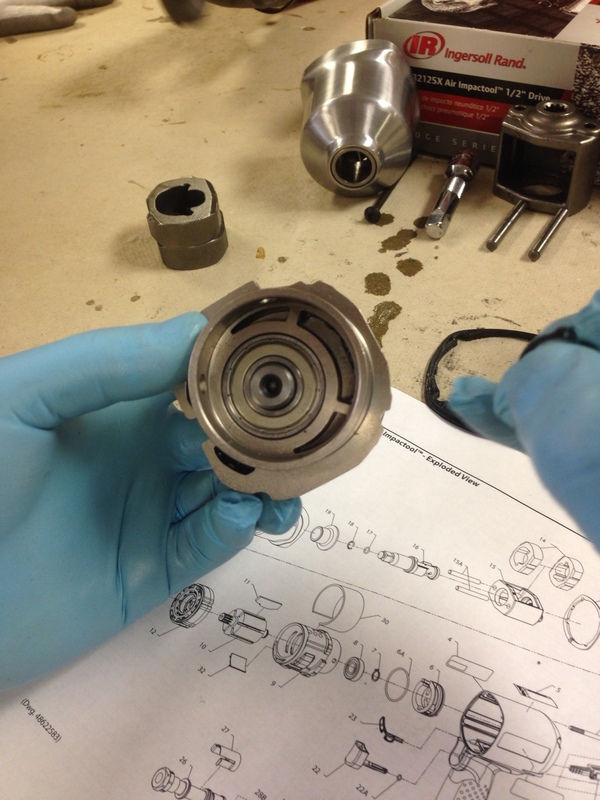 ASME was able to bring in Ingersoll Rand(IR) for this semester’s teardown event and there, we disassembled several objects and reassembled them back together using several tools and a sheet with all its components. 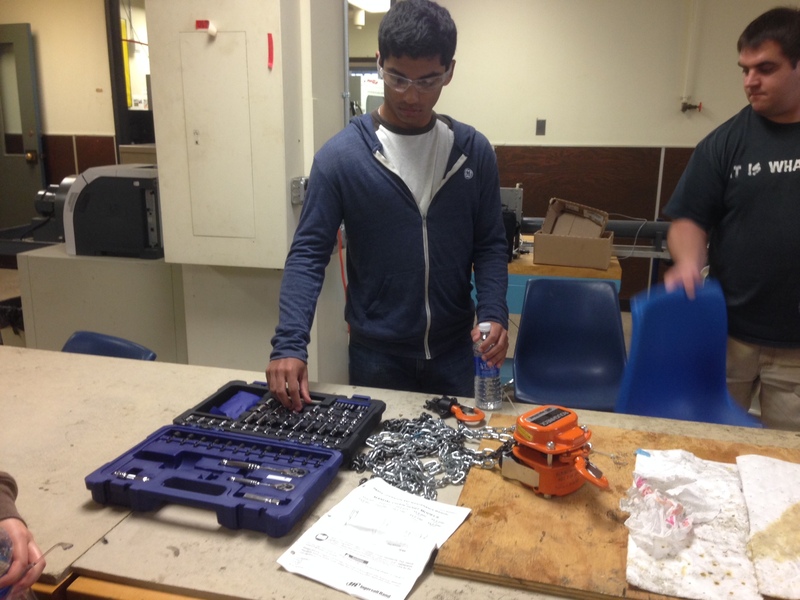 There were three different objects that people were able to disassemble. The first one above was a water pump, if I remember clearly. The second object was a hoist with the long chain. And the last one was an IR drill that my friend and I worked on. This drill was a bit tricky to disassemble because there had been another group working on this tool before us and I heard that they had popped something within the handle bar as you can see in the picture on the right. I think it might explain why we couldn’t get that screw off on the bottom of the handle. When we tried, the screw started grinding against the material so that was not a good thing and we decided to leave it alone. But other than that, it was a pretty cool event to get some collaborative teamwork going on as far as solving a “problem” goes, if I should say. 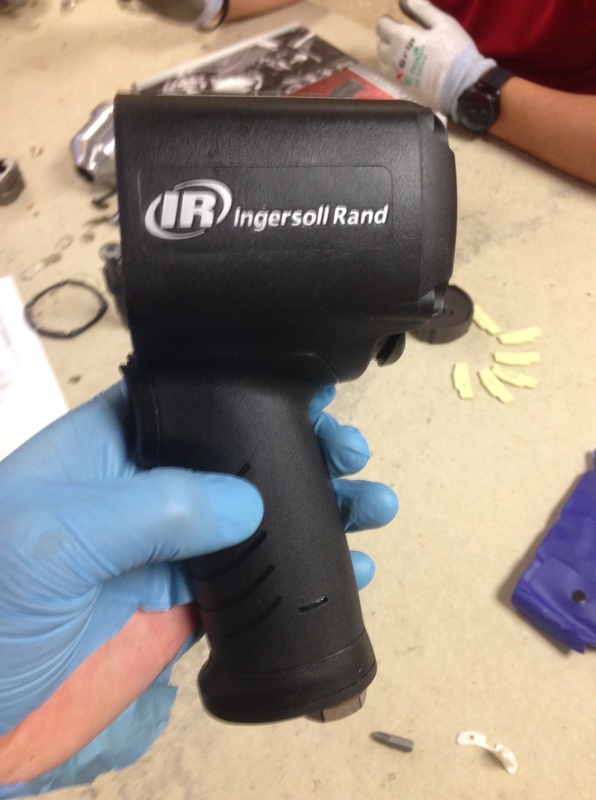 Ingersoll Rand is actually a big company itself. Several students are able to participate in the co-op program with the company and learn valuable skills when working with them. They emphasize a lot on diversity and willingness to relocate because they are globally known. Just goes to show how cool working along a big company can be.